Before you know it, the day will come when you need something heavier than your blazer to keep you warm on your walks to and from the train. You’ll open the front door to your apartment building and be hit with a biting wind that was pleasantly brisk just the other day. So, you’ll turn around, jog up the flight of stairs to your unit, unlock the door, clomp down the corridor and into your bedroom where you will no doubt stand in front of your closet in that familiar “I have no time for this…but I can’t make a decision” stance. When you encounter moments like this, it is best to be as prepared as you can. That is where this Carven coat ($950) comes into the equation. This solid flannel option leaves no room for error in the style department but also serves as a great way to actually stay warm. With 60% of the coat being polyacrylic and 20% being wool, it will keep you from freezing while being somewhat light so you don’t feel completely weighed down and bulky. What’s that, you say? A coat that is chic and functional? What a splendidly novel idea! Don’t have almost $1,000 to spend on one piece of clothing? I feel you. 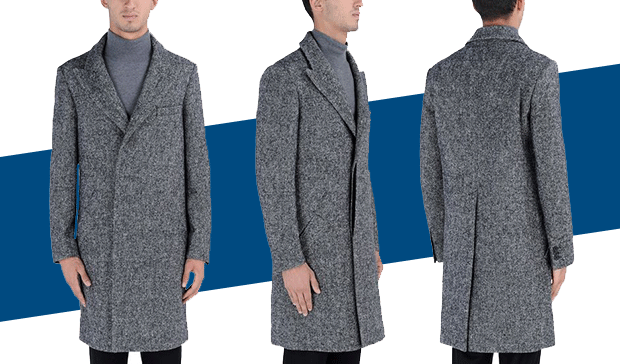 That’s why I’m listing three additional wool coats at more affordable price points for you to check out. Happy shopping.